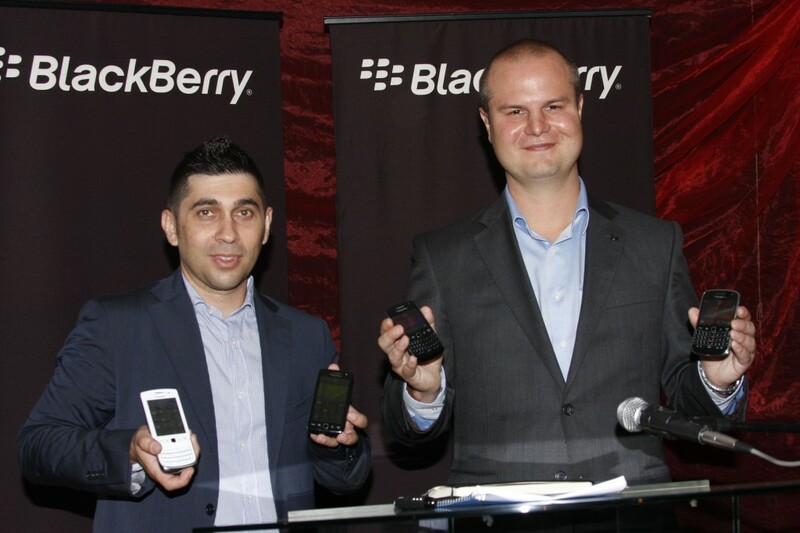 BlackBerry 7 Smartphones launched in Nairobi, Kenya. Last week on Friday in Nairobi, plans to launch three new smartphones based on the BlackBerry 7 Operating System (OS) were announced. RIM, in conjunction with carriers and distribution partners in Kenya, is rolling out the new BlackBerry® Curve™ 9360, BlackBerry® Torch™ 9810 and BlackBerry® Torch™ 9860 smartphones, all running the powerful new BlackBerry® 7 OS. The BlackBerry Curve 9360 is slim, stylish and simply beautiful. It is ergonomically designed with a comfortable and iconic keyboard for fast, accurate typing and an optical trackpad for easy, one-handed navigation. GPS and Wi-Fi® support are also included, as well as a 5MP camera with flash and video recording so that memories can be captured and instantly shared on social networks. The microSD/SDHC slot supports up to 32 GB memory cards for additional media storage. The BlackBerry Torch 9810 is a powerful evolution of the original BlackBerry Torch 9800 model. The new model is faster and more fluid with high performance hardware features and the new BlackBerry 7 OS delivering an enhanced multimedia experience. Featuring a large 3.2”, high resolution touch display and a distinctive BlackBerry keyboard that easily slides out to allow fast typing; the BlackBerry Torch 9810 truly delivers the best of both worlds. The BlackBerry Torch 9860 smartphone offers fast and fluid performance in a stylish new all-touch design. With a spectacular new 3.7” display, the largest ever on a BlackBerry smartphone, the new all-touch BlackBerry Torch 9860 is optimized for high-quality multimedia, web browsing and gaming. In addition, the BlackBerry Torch 9860 delivers the industry-leading real-time communications and collaboration experience that is loved by millions of BlackBerry smartphone users around the world. The new BlackBerry 7 operating system introduces the next generation BlackBerry browser, featuring a significantly faster, more fluid web browsing experience that is among the best in the industry. Combining the dramatically improved performance of the advanced WebKit browser engine together with powerful hardware enhancements, BlackBerry 7 based smartphones deliver browsing results that are up to 40% faster than BlackBerry® 6 based smartphones and up to 100% faster than BlackBerry® 5 based smartphones*. Additional enhancements to this next generation BlackBerry browser include optimized zooming and panning for smoother web navigation and optimized HTML5 performance for incredible gaming and video experiences. Is it confirmed which of the local carriers (if any) are going to be offering the new handsets on post paid contracts?